In 2001, Jim Carrey starred in a movie called, “The Majestic.” The storyline follows Carrey as a Hollywood screenwriter who gets amnesia after a car crash into the coastal waters along California’s Highway 101. Carrey washes up on shore only to be rescued and watched over by the people of a town still living with the grief of having lost many of their young men in combat during World War II. A diner featured repeatedly in this movie reminded me of a restaurant I went to in the 1960’s as a boy with my Uncle R.G. Clum. Every morning my uncle, who owned a plumbing and heating company, would have breakfast with the other merchants and business owners in town before they opened their own shops for the day. There was a camaraderie and sense of community in that café that I felt even as a child. It made that restaurant an inviting place and a touchstone for everyone that lived there. When I heard that Bob Collins was preparing to restore the Blue Garden Café in a 1950’s-1960’s motif, my heart swelled. It captured my imagination that perhaps a similar space to my uncle’s breakfast spot will emerge on our town square. That’s what I hope anyway. I have reason to be guardedly optimistic though. About two years ago, I attended a dinner in Salem for a professional association. I had not planned the program so I was surprised to see that the speaker for the evening was a fellow Dallas resident. The person that introduced him listed the man’s many professional accomplishments and state government offices he had held, etc. Then our speaker added one tidbit to the host’s list in his opening remark, he said “I am also a member of the Dallas First Night Diners Club.” I perked up a little because he was talking about my town, but referencing an organization I had never heard about. He continued with the punch line, “You see, in Dallas we have many restaurants that open, but if you don’t eat at a new place the first night, you may never get another chance.” Everyone chuckled, but the truth of the remark hit home. Making a go of it in the restaurant business in 2016 and in Dallas is tough. However, I think there is reason to be optimistic for the future of the Blue Garden, partly because of its past. I believe I am not alone in my nostalgic longing for a time gone by. There are a lot of people living in Polk County that remember the Blue Garden and that I believe will want to return to the days of yesteryear. I also think that Collins has been smart in some of his marketing to date. He had a community gathering at the beginning stages of his restoration project just to give people in town a chance to learn about his vision for the Blue Garden. 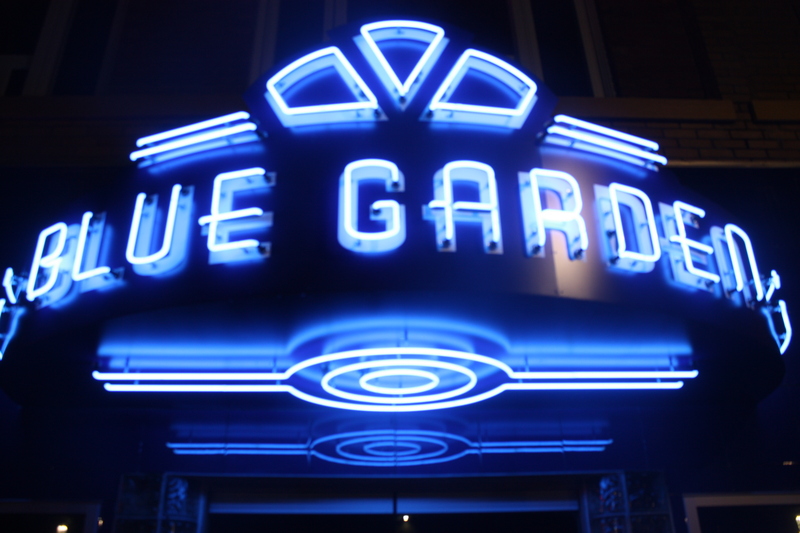 Also, later inviting people to watch the restored “Blue Garden” blue neon sign be switched on for the first time in many years, was brilliant. It has created interest in the project and got people excited about the restaurant’s actual opening later this spring. Collins has created a Facebook page to keep residents posted on the latest developments with the Blue Garden. That little touch shows me that Collins is not relying solely on the goodwill created by a pleasant memory to get this new-old restaurant off the ground. So the Blue Garden may be an homage to the past, but it it is certainly not living in it. Collins appears to be using the most modern technology and techniques available to promote his business. Of course the very best marketing, as with any restaurant, is good food and good service and that will tell the tale after the café opens for business. As for me, I plan to dine at this new cafe the day the Blue Garden opens, but I also hope to eat there often and hope that it remains open for a long and happy second life. My best wishes to Bob Collins and the Blue Garden Café. 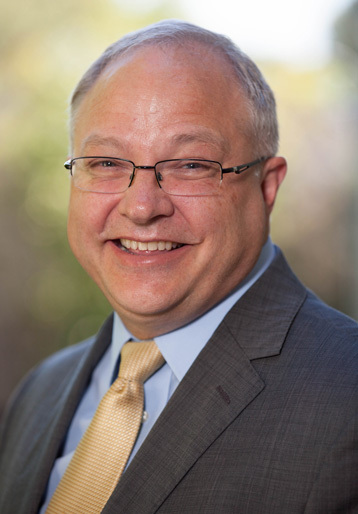 Stan Butterfield is a probate lawyer based in Dallas, Oregon. He enjoys sharing stories of fun, interesting and sometimes quirky people and places in Polk County and the rest of Oregon. Professionally, in addition to probate, he practices law regarding wills, trusts, guardianships, and conservatorships. If you believe Stan could help you give him a call—(503) 623-2427.